We are just a few days away from moving into our new house. You know what that means? Yes, I’m surrounded by boxes and absolute chaos as I type this. For the last two years we have been living in a rental house while we waited to get our ducks in a row to purchase our own house. We ended up buying a new house which means new appliances. I am thrilled about that! Does Cascade Platinum Really Work? When I was asked to test out the new Cascade Platinum packs, I was on board. I’ve seen them advertised, but hadn’t purchased them yet. What do I think? 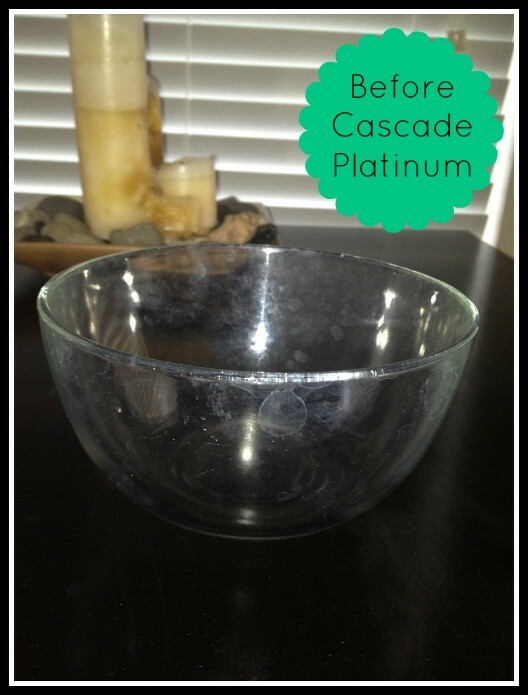 See the photo below of how the same bowl pictured above came out after a wash with the Cascade Platinum. How it works: Cascade© Platinum Pacs feature an advanced triple action recipe that is specially designed to leave dishware virtually spot-free and help prevent the build-up of hard-water ?lm on dishwasher walls. 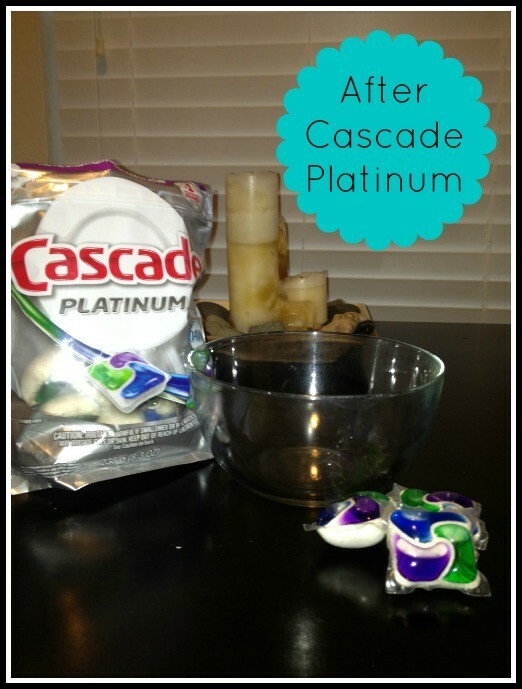 Given the fact we’re moving into a new home, with new appliances – you can bet I’ll be using Cascade Platinum packs. We have an issue with hard water where I live and I’ll do whatever I can to help prevent that build up on my new machine. For those of you who are food bloggers, you know the importance of plating your food just right for a great picture. Part of the plating is the fact that the dishes look clean. Who wants to look at a bowl of homemade ice cream scooped into a spotted glass bowl? No one. We eat with our eyes right? Check out the Cascade YouTube page which features tips from Gail, as well as things like how to load your dishwasher. The Cascade “My Platinum” contest is a four week Instagram contest encouraging fans to upload photos related to the weekly contest themes. Show off how sparkly Cascade makes all your pots, pan and plates! Each week, two contestants will be selected to receive a brand new Whirlpool dishwasher. Additionally, one lucky grand prize winner will receive a Platinum kitchen. To win, users have to both register and upload a photo with the #MyPlatinum hashtag and tag @MyCascade. Participants that have not registered will be disqualified from winning. Each week will have a 6-?day entry period where Instagram users can enter the contest with their #MyPlatinum Photo. Cascade will choose two weekly winners and one final grand prize winner after the entry period has ended. Please be sure to include both the #MyPlatinum hashtag and tag @MyCascade in your entries to the contest! Week 1: My Platinum Plate (Entry Period: 6/3-­ 6/9) – Show us your best dish styled from the sparkling plate up! Week 2: My Platinum Bite (Entry Period: 6/10-­ 6/16) – Show us your best bite and most creative use of sparkling silverware! Week 3: My Platinum Clink (Entry: 6/17-­ 6/23) – Show us how you serve up creative concoctions in sparkling glasses. Cheers! Week 4: My Platinum Table (Entry Period: 6/24-­ 6/30) – Show us your sparkling tablescape for your most special celebrations!